After upgrading PMM to v7.1 and higher, there might be a situation when PMM notifications for application deployments which did not pop-up on the Mac before, suddenly started to appear. Also you may notice that it affects only some of the applications but not all of them. The issue started occurring because previously notification wasn't properly handled and it seemed to be a silent installation for all apps. On the Mac you can confirm it from Application Assignment properties in /Library/Logs/pma_agent.log. It means that User will get a prompt that application is ready to install and also will be prompted if installation process requires restart. Application will be also available in Application Portal. 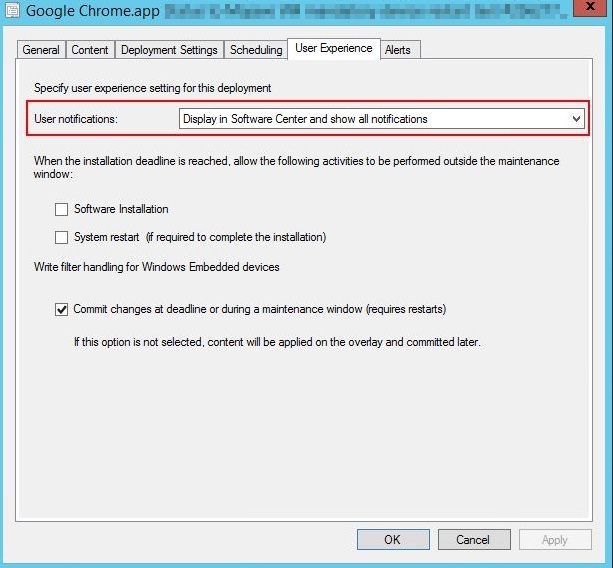 User will not be notified about installation readiness and application will be installed in the background. If Application requires restart, user will get notification with an option to postpone it. Application will be available in Parallels Application Portal. 3. Hide in Software Center and all notifications. No notifications will be displayed. Installation will performed silently. Application will not be available in Parallels Application Portal.